Due to a rapid growth of the emerging economies, the airline industry is expanding and it is predicted that in the upcoming decade the number of commercial aircraft will double. Under such circumstances the Asia Pacific region is continuing to present the largest projected growth in pilot demand with the current need for 185 600 new pilots. 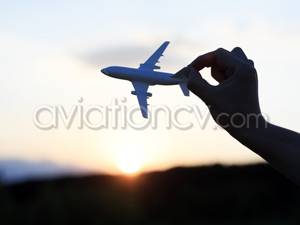 The largest amount of pilots – 71 300 – is required in China. Naturally, at the moment the regions being perceived as an exceptionally attractive location among experienced professionals in search of great career opportunities. But while providing numerous economic benefits, is China the place an expat can call home? The most recent HSBC’s Expat Explorer survey has found that half of the expats heading to China do so expecting to earn more money upon relocation. 64% of the expats in China have witnessed а noticeable improvement in the financial status of their household with 69% citing an increase in disposable income. 29% have reported that since the relocation their household income has increased by 50% or more. Moreover, almost half (44%) of the respondents have expressed a belief that the country offers high quality of life for expats. The language barrier remains one of the most significant challenges for expats in China – against а global average of 28%, 56% of them find learning the language difficult. Although English has been historically known as the official language to be used in aviation communication and the language is fairly well known in Beijing, Shаnghаi and other bigger cities of China, learning basic Cantonese or Mandarin is beneficial for expats wishing to truly fit in culturally. Moreover, English no longer serves as a prime advantage of expats, so an extra effort put into learning the local language will most probably impress the potential employers. Thus those, that do get some basic language under their belt, very quickly experience China as less of а bewildering, and more of а beguiling place. „While the illusion that learning the local languages is a major challenge remains, it is important to emphasize that it is basically no more different than learning any European language. In fact, Mandarin is actually grammatically far less complex than the languages we are used to. Expats are increasingly finding China а favourable destination to live and work. I think everybody’s adventure of moving to China is а little bit different and living in this country can be а completely wonderful experience,“ says Skаiste.